Beautiful Countries To Visit During Autumn Written by Barnaby Taylor. Published on 26th September, 2018 . As we leave the summer behind, it’s time to welcome one of the most beautiful seasons the year has to offer. There’s just something so special about the arrival of autumn, as the leaves turn a gorgeous shade of copper and temperatures begin to shift. Autumn is also the perfect time to go on holiday, as flights tend to be cheaper during the months of September, October and November. 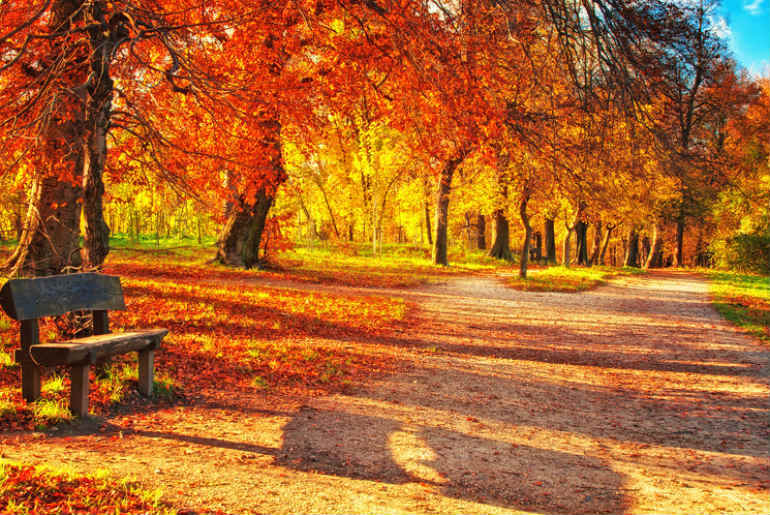 If you’re ready to let summer go and embrace the beauty of autumn, consider visiting one of these countries. Delicious pumpkin pie and exciting Halloween celebrations are just two reasons to visit America during autumn, or “fall” as it’s known in the United States. The autumn months are a time of harvest in the States (making it an excellent time for foodies to explore!) but a trip to America could be justified by its scenery alone. 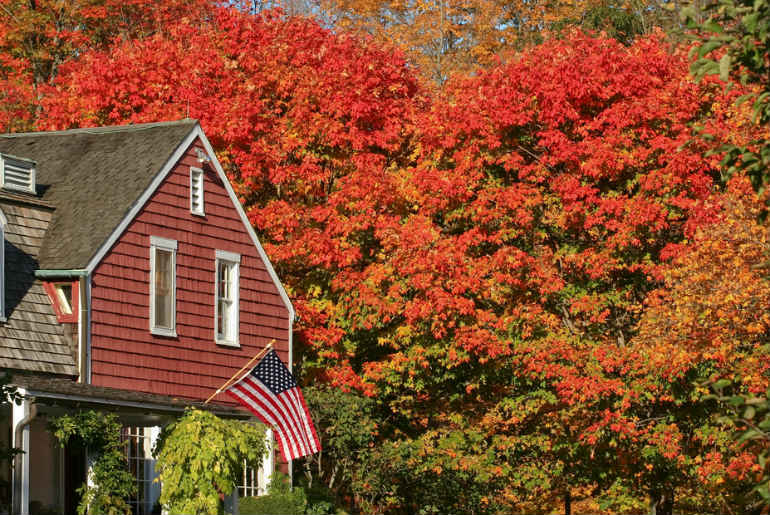 New England’s fall foliage is famous across the globe for its outstanding beauty, with thousands of tourists visiting Connecticut, Massachusetts and New Hampshire every year to catch a glimpse. The opportunity to see Japan in the fall is one which shouldn’t be missed. Japan’s autumn is characterised by the country’s colourful koyo (autumn leaves), which turn a vibrant shade of scarlet during the colder months. 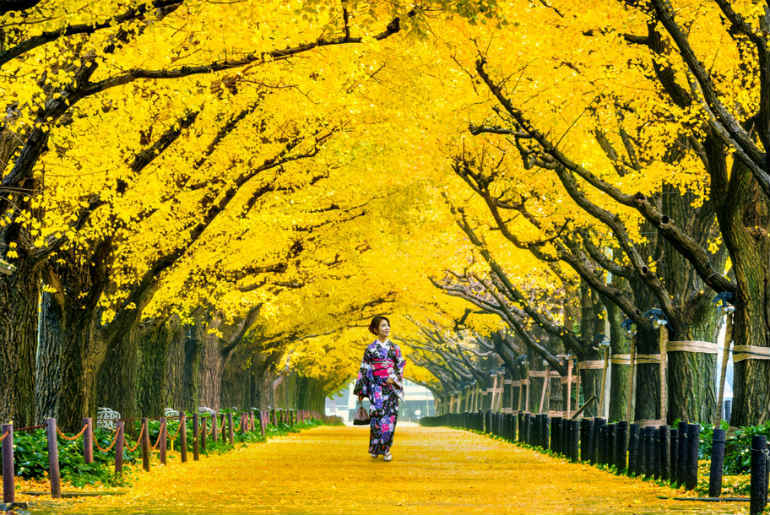 Tokyo is known for its eye-catching gingko trees, but one of the most popular places to embrace Japan’s autumnal charm is Kyoto. 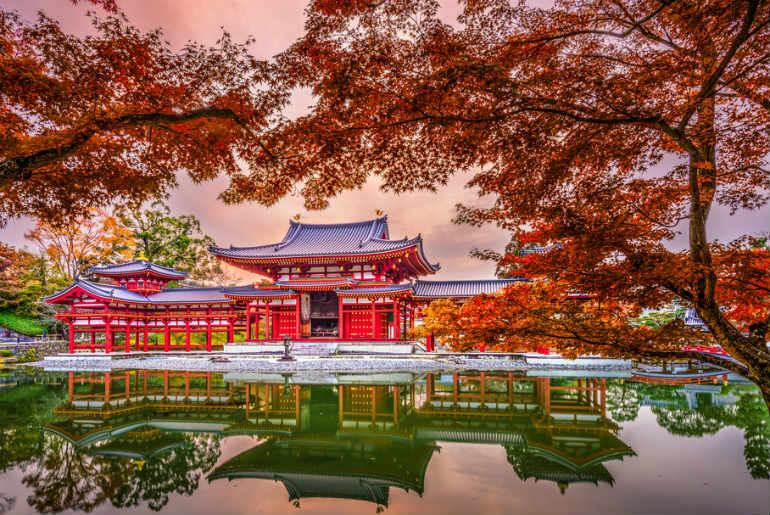 Kyoto is famous for its fall foliage, which is perhaps even more beautiful than the iconic cherry blossoms associated with Japan. Autumn is often described as the best time to visit South Korea, as the temperatures become milder and the country’s foliage turns a wonderful copper colour. In fact, a trip to South Korea during the autumn months should be on everyone’s wishlist. Seoul, the country’s capital, is particularly special in the fall, as the city’s trees turn crimson and yellow. Whether you enjoy hiking through forests or strolling through local parks, Seoul in the autumn is bound to be your dream destination. If you aren’t quite brave enough to experience a Canadian winter, visiting during the fall could be a happy medium. Of all the reasons to visit Canada in autumn, tasting the country’s seasonal produce must be one of the biggest. From pumpkins to butternut squash, apples to parsnips, there are so many delicious dishes to try from September to December. 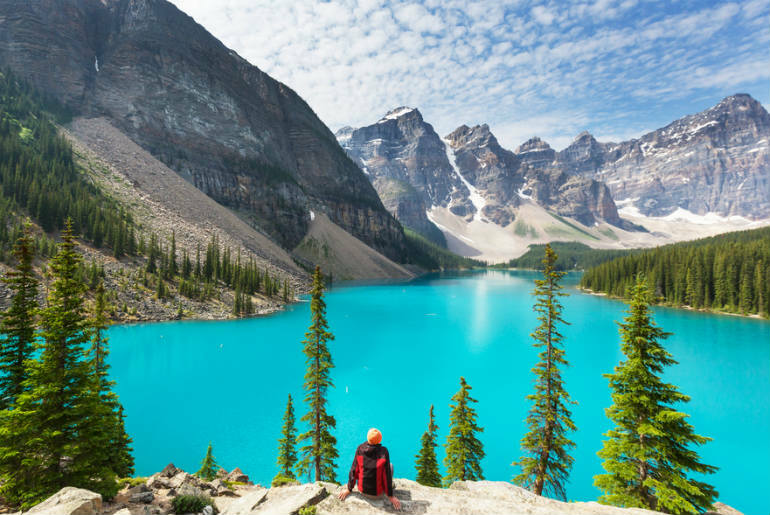 Canada is also famous for its scenery, which attracts thousands of travellers every year. Autumn is undoubtedly the best time to see this for yourself, as the leaves fall from the trees and litter the pathways with gold and red. Experience the delights of autumn with a trip to one of these exciting countries. At Just Fly Business, we offer low-cost business class flights to destinations across the world, including the United States, Japan, South Korea and Canada. Click on our destinations link here and book your next luxury holiday today.